This time last year, DVLA and the motor industry were gearing up for the new tax rules that came into force on 1 April 2017. A lot has happened since, so I thought this would be a great time to update you and tell you about new changes on the horizon. 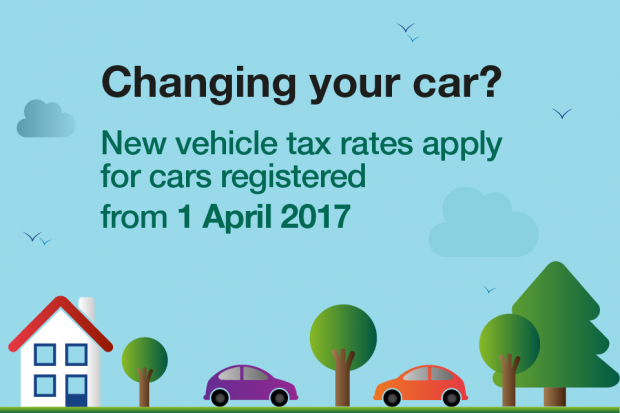 Customers who bought a new car registered on or after 1 April 2017 will be getting their tax reminder (V11) through their letterbox from this month onwards. These tax reminders will show the standard rate, or if the car had a list price of over £40,000, the standard rate plus the additional rate. See our vehicle tax rates for information. During the past year, service designers here at DVLA have been working on our new first registration service. We have been working closely with manufacturers and dealers to ensure the service meets their needs as well as ours. The new service will start the DVLA’s IT transformation, using APIs and cloud technology, while improving our internal IT estate. In the Chancellor’s November budget, further changes to the way vehicle tax is calculated were announced. The change will apply to new diesel cars registered on or after 1 April 2018. Put simply, new diesel cars registered from this date will have their first year rate calculated in line with the changes. The rates will not apply to next-generation clean diesels. These are vehicles which are certified as meeting emissions limits in real driving conditions, known as Real Driving Emissions Step 2 (RDE2) standards. The Chancellor also announced increases to current VED and standard rates in line with Retail Price Index (RPI) from the same date. There may be some of these that you, as a driver, will never know about or even need to. But we have to factor these into our processes when registering a vehicle for the first time. No doubt there will be more changes to come and we need to make sure we can introduce these with minimal disruption to our customers and stakeholders. We will continue to work closely with industry colleagues, trade bodies and motoring associations to keep moving forward. This helps us to improve our services and make them simple to understand and easy to use. To check when the tax is due for your vehicle, go to gov.uk/check-vehicle-tax. Very informative and plain speech...thankyou. I await self-driving electric cars with long distance capability. A car that can drive me from the Sussex Coast to Northumberland, be recharged there, and drive me back to the Sussex Coast after my fortnight's holiday. Will driving lessons and licences remain necessary if the car can find its own way to the destination? I have had a licence since 1970s to drive petrol or diesel cars, or will a special licence be needed for being "in charge' of an electric car. And if my self driving electric car mows down a horse and its rider, will I or my car be prosecuted for causing horse and human deaths by dangerous driving? I may simply have been sitting on the back seat reading my newspaper and drinking my coffee while the car software thought the way was clear! It is true to say that annual servicing on my petrol car includes software upgrades. How secure will be the self-driving car software? Upgrades by internet to prevent my car hitting the horse and its rider, just in time, so to say? There is a 5% admin surcharge if you pay monthly or 6 monthly. If you choose an annual direct debit, there is no surcharge. Before direct debit, the surcharge for a 6 month tax disc was 10%. The rules about car tax refunds done automatically are a complete and utter rip off to everybody who buys and sells a car. The car being sold will be refunded from the start of the next month while the person buying the same car will have to tax the car from the beginning of the month the car is bought in. DVLA gets two months tax payment for one car. Multiply this by all the cars sold every month and you have one giant rip-off. Worse still if you sell your car at the end of the month and immediately post off the V5, even if you truthfully enter the date sold, DVLA will only refund from the date the V5 is received, ie you lose another months tax, to add salt in the wound they will actually record the date of sale as the date you enter. If these procedures were adopted by any private body the firm would be inundated with complaints. To ensure you receive the refund in a timely manner, we would advise using our online service when you sell a vehicle. This updates DVLA immediately and the refund will process at the same time and be calculated from that date. Bring back the tax disc. Far too many motorists seem willing to take a chance on not bothering to buy one. Possibly a new tax disc would also display insurance details or have a chip built in to the design. So basically the Government wants us to have none diesel cars under £40,000 or pay through the nose. Bad news for the car manufacturers.